Mon., March 18, 2019, 1:48 p.m.
On April 20, 2016, the federal government approved Washington state’s 14th American Viticultural Area. 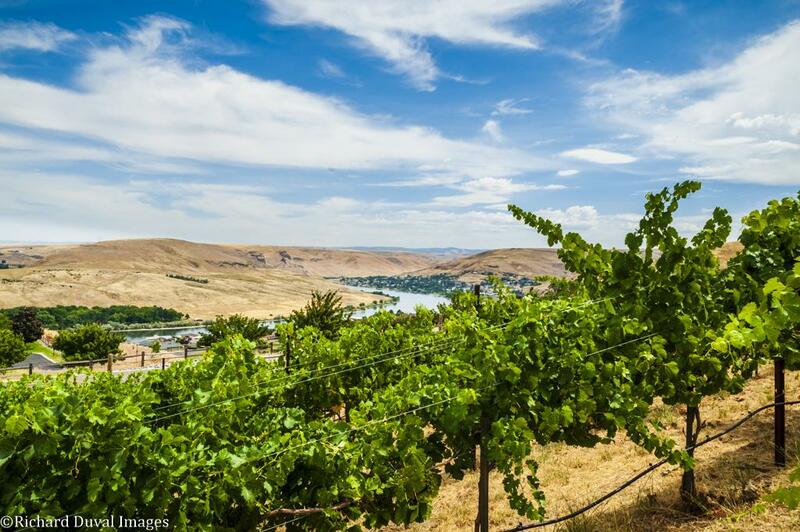 For Idaho’s burgeoning wine industry, the Lewis-Clark Valley is the Gem State’s third AVA; a bi-state appellation that includes the towns of Clarkston (in Washington) and Lewiston. The region is home to 100 acres of vineyards spread across 16 sites and both states, growing about 20 grape varieties and helping to provide for nine wineries and tasting rooms. There’s a rich history here, as grape growing and winemaking in the region can be traced back to 1872. Alas, history was all that was left in the wake of Prohibition until a couple of decades ago. Thankfully, the industry has restarted, and the renaissance has sparked support from local consumers. Clearwater Canyon and Colter’s Creek have been at the forefront on many levels. Led by intrepid winemakers, some of these wineries not only grow their own grapes, but also source from some of Washington’s top vineyards. Those seeking to explore this new AVA should plan to attend the first Lewis-Clark Valley Wine Festival April 5-7. In last fall’s Platinum Judging, conducted by Wine Press Northwest magazine, wineries from the region earned four Platinum medals. Ask for them at your favorite wine merchant or contact the wineries directly. For complete results of the 19th annual Platinum Judging, go to www.winepressnw.com. Colter’s Creek Winery 2015 Tempranillo, Lewis-Clark Valley, $20: Mike Pearson’s vineyard work in his Fools Block that overlooks his winemaking wife Melanie Sanborn’s winery in tiny Juliaetta, Idaho, proves that tempranillo has a home in the historic Lewis-Clark Valley. This rather youthful example brings cherry jam and blueberries with reasonably tamed tannins, pomegranate acidity and finishing touches of leather and lavender. Basalt Cellars 2015 G.S.M, Columbia Valley, $36: Clarkston pharmacist/winemaker Rick Wasem in Clarkston has received a Platinum twice in three years for his Rhône-inspired blend. Here, it’s syrah (44 percent) in the lead over grenache (39 percent), which explains the delicious array of Marionberry and black cherry and young leather ahead of the plush raspberry and nicely managed tannins. Clearwater Canyon Cellars 2015 Petite Sirah, Washington, $28: Idaho’s most decorated winery in the 19-year history of the Platinum would add to its toteboard of medals when Coco Umiker, Ph.D., toured the Horse Heaven Hills and came down with petite sirah (84 percent), petit verdot (12 percent) and carménère from the Verheys’ Roosevelt Ridge Vineyard near The Burn and Phinny Hill near famed Champoux Vineyard. Penetrating while maintaining elegance, this lovely wine has showy varietal characteristics. Black plum, boysenberry, subtle earthiness, a hint of tar and savory spice create a tasty and spirited flow through the palate. Refined tannins and a silky mouth feel top it gracefully. Clearwater Canyon Cellars 2016 Century Farm Cabernet Franc, Lewis-Clark Valley $32: The Umikers recently unveiled just the second cabernet franc in their 16-year history, and this pulls from two of noteworthy sites in the Lewis-Clark Valley. The Umiker Estate Vineyard is planted on the family’s 100-year-old farm in the Lewiston Orchards, and Rock n’ J Vineyard south of Asotin is the easternmost vineyard in Washington state. Both are tended by the winemaker’s viticulturist husband, Karl. The 17 months in 30 percent new American oak barrels yields a complex and fleshy theme of President plum and pomegranate with Dr. Pepper and baking spice that generates a long finish. Jovinea Cellars 2016 Mel’s Victory Red, Walla Walla Valley & Columbia Valley, $24: Lisa Grigg and her husband, Michael, have a small vineyard in tiny Juliaetta with plans to establish vines at two other sites. One of the first efforts by the Lenore, Idaho, winery is this blend built upon the shoulders of petit verdot from outside of the L-C Valley. The theme of dark purple fruit includes savory notes of black olive and herbs, backed by racy finish of boysenberry. Spiral Rock Vineyard 2017 Riesling, Lewis-Clark Valley, $18: From one of the valley’s youngest plantings, Stuart Davis works with a single acre of estate riesling at 1,200 feet elevation high above the confluence of the Snake and Clearwater rivers along the Spiral Highway. He takes a seriously dry approach to this noble Germanic white that’s a refreshing drink of citrus and stone fruit. Two Bad Labs Vineyard 2017 Dry Riesling, Lewis-Clark Valley, $15: Paul and Heidi Sullivan of Tammany View Winery moved from Oregon’s Willamette Valley to the L-C Valley in 2011, and they’ve have rescued four Labrador retrievers along the way. It seems as though a pair of them are partners in crime at any time, so they’ve dubbed their young vineyard and first winery brand as such. This product of their fifth vintage shows notes of fresh lemon, candy corn and minerality, making for a brisk combination. Andy Perdue and Eric Degerman operate Great Northwest Wine, an award-winning media company. Learn more about wine at www.greatnorthwestwine.com. Published: March 18, 2019, 1:48 p.m.